LAGOS OCTOBER 18TH (URHOBOTODAY)-A top commander of the Urhobo/Isoko militant group, the Niger Delta Greenland Justice Mandate (NDGJM), has been nabbed by the operatives of the Joint Task Force (JTF) in the oil-rich region, code-named Operation Delta Safe. The suspect, whose name could not be ascertained at the time of this report was arrested on Sunday along with four of his foot soldiers. Reort has it that the militant commander was one of the culprits behind incessant attacks on oil and gas trunk-lines in Ughelli and its environs in Delta State. 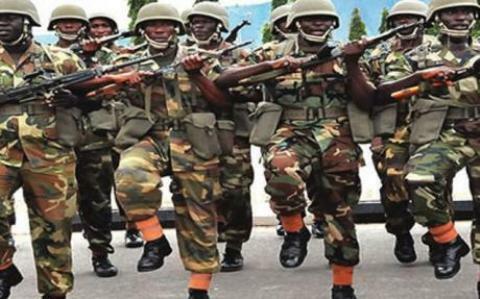 The acting JTF spokesman, Lieutenant Commander Thomas Otuji, confirmed the arrests.